All 6th-12th grade students are invited to join us for a night of pure excitement! We will begin our evening at 7pm on Friday March 8th, and we will be done at 7am on Saturday March 9th. Call the Church building for more info, to get your child registered! It’s gonna be a blast! Bring a pillow and sleeping bag, if you think you’ll need it! Snacks and games provided! Everyone is invited to join us Friday February 22nd, for a night of fellowship and fun! We will play all of your favorite games, from LCR, Euchre, and more. Fun for the whole family. Bring a finger food to share! Come join in on the fun! We are rescheduling our Winter Jam trip, that was cancelled due to weather for Friday February 15th. We will be leaving the Church building around 1pm that day to travel to PPG Paints Arena in Pittsburgh, PA. Bring a snack for the trip! Be sure to join us after worship on Sunday February 3rd for a soup and sandwich dinner (Put on by our Singles Ministry). The fee for the meal, is everyone must bring a can of soup, to be donated to a local pantry. Don’t miss out! Letters to the Church Study! Join us beginning Sunday February 3rd, as our adult Sunday School classes will be going through the study, “Letters to the Church” by Francis Chan. Come and discuss if what you think of the “Church” lines up with what Scripture teaches! Sunday School starts after worship at 10:45am! Join us beginning January 27th, as we begin a new series on the life of Jonah. There is a lot to learn from the OT prophet! How to live for God, and how to properly obey him, can be seen through the life of Jonah. Both as he obeys, and the struggles he encounters within himself! Don’t miss it! Be sure to get signed up for our new call system, that will help us better communicate, prayer requests, events reminders, etc. See a staff member for more details! Sunday October 7th we will be having a shortened service that morning beginning at 9:30am. We will then be going into the community and serving the community our Church is a part of. We will be doing various projects, from picking up trash, raking leaves, etc. We will have work for everyone! Don't miss this opportunity to show the community that you love them! Join us beginning September 9th for a sermon series, looking closely at the 7 Churches in Revelation that get addressed. We will look at the flaws, and also the positive points they have. This will be an eight week series, as the 8th week we will look at our own Church and ask how we compare to the ones addressed in Revelation! Join us Sunday September 2nd (Labor Day Weekend) for our community worship service. We the Church of Christ will be combining our service with the Fredericksburg Presbyterian Church, and Mennonite Christian Assembly. Service will start at 10am at the Baseball field in Fredericksburg! Join us Sunday August 5th as we start a new sermon series, looking closely at the life of Samson. The Lessons we can learn from Samson, show us that God is in control! Join us to see if we are living according to the patterns God has designed, or are we on a path to destruction as Samson was? All Kids Pre-K through 8th Grade, be sure to join us for our Vacation Bible School July 23-27 from 6:30pm-8:30pm. We will also have a light meal available to all kids or faculty who wish to come. Food will be served at 6:00pm sharp, because again, programming starts at 6:30pm. Call the Church building at 330-695-3301 to register or ask questions. Pre-Registration will start Sunday July 8th after worship! Come and discover Jesus from eternity past, to eternity future! Join us for our annual Church picnic at Round Lake Christian Camp. We will be using the cafeteria on the camp side from noon-1pm, and from 1-3 swimming will be available to all who attend! Lifeguards will be on duty that afternoon for us! Bring a dish to share, and come out and have some fun! Tuesday June 19th we plan to take a group of people to visit the replica of Noah's Ark in Williamstown, KY. See their website for pricing, as it varies depending on age. We will leave Fredericksburg, at 7am, and return around 10pm that night. Sign up at the Church building if interested in going, or call the Church for more details! We have limited space available for this trip! This June, we plan to do a short term mission trip to Pittsburgh, PA serving the homeless community. We will be working with several different organizations while in Pittsburgh. This trip is for anyone in Jr High-Adult age. Cost to go is $50. Money and liability forms are due by April 22nd. See Jeremiah Scadden (Minister) for more details! Ladies, join us for Dinner on Saturday May 19th at 6pm for dinner and great fellowship. There will be a speaker that evening as well! Sign-up at the Church building! 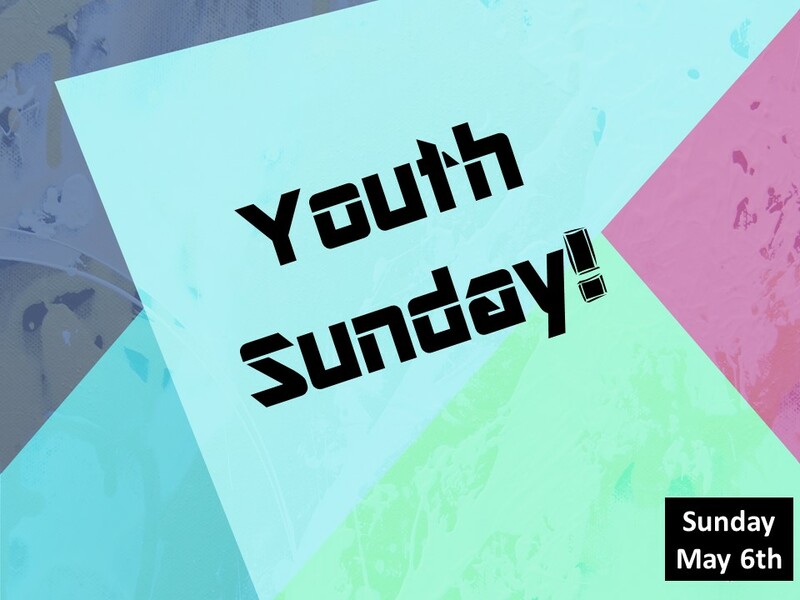 Join us Sunday May 6th at 9:30 am for our Youth Sunday!!! The Youth of Fredericksburg will be taking over the service! Don't miss it!!! Join us as we plan to go see the newest movie in the "God's Not Dead" trilogy God's Not Dead: A Light in the Darkness" Open to all who wish to attend. We plan to go in the afternoon after worship! Bring $ for lunch! Join us for our Sermon series (starting April 8th) "You Asked For It!) All questions that will be addressed will be questions from the congregation. Join us! A question you have always had, might get answered! Join us Friday March 30th at 7pm for our Good Friday Communion Service. Come and here several different perspectives about the crucifixion of Jesus Christ! What did this event mean to them? How did it change them? Furthermore, how does it change you? Don't miss it!